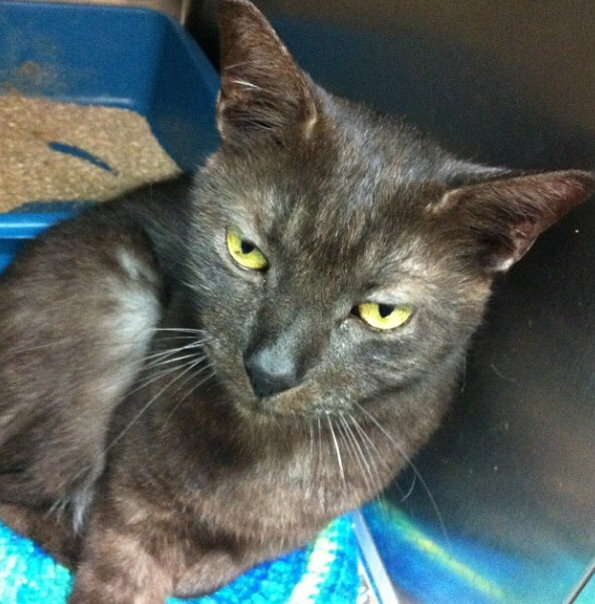 Today, I would like to introduce you to the SPCA of Central Florida cat of week for Imperfectly Painted, Chester! About Chester: Chester is a cool cat. He has the coolest coat. You might think from afar his coat is thinning. This isn't the case at all. Chester's undercoat is actually white, and the top of his coat is black! I've never seen coat like his before. He's a very sweet and affection cat. He loves getting cuddles and pets. Chester always gets excited when I come over to his cage to pet him. He's been at the SPCA since November, and is patiently waiting to find his furever home. Volunteer Duties: This was a fun volunteer week. 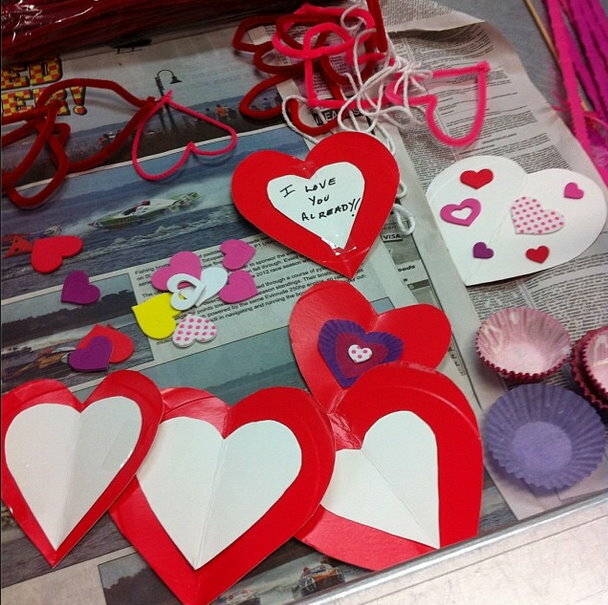 We were asked by one of the SPCA staff to make some Valentine's decorations for the cat room. I hear decorations, and I get excited. I love to decorate, make things colorful and sparkly (ya, think? I'm sure all of us nail addicts are like that). We were limited on supplies so we had to improvise. No construction paper? No problem, I found mini red paper plates in the storage closet and cut hearts of those. We also used pipe cleaners, cupcake papers, and foam heart stickers. We hung up the decorations in the cat room, so it all looks every loved now. I'll take a picture for next week! Adoption Special: The SPCA has an adoption special going on from now through Valentine's Feb 14th. All adoptions will get $14 off, and there is $5 off coupon for heartworm preventive. If you'd like to find more information out about Chester or learn more about the SPCA of Central Florida, check out their website. Awww Chester, what a sweetheart. It's very cool that he has a white undercoat, I've never seen that before :) I love that the kitties got little valentines. Your shelter sounds wonderful! All my cats have been rescues, and the only thing I regret is not being able to adopt more. These posts make my heart smile.